This is my first official article here and, in classic James fashion, I decided to make it a rant. Well, actually not really a rant but what I think is some constructive criticism. As a bookstagrammer, I get to see sides of the publishing industry that a lot of readers never get to see. And a big part of it has to do with trends. Like any business, the publishing world is driven by sales. And it’s been common knowledge for years that those sales are decreasing, especially when it comes to physical books. Of course, the main reason is the multitude of entertainment forms available nowadays. You have movies and TV and STREAMING. I put streaming in caps because I will use it as a parallel for this article. When we talk streaming, we unavoidably talk Netflix (although Disney is coming with its own streaming service in 2019 and DC Comics already has a brand spanking new one up). There is a reason why Netflix works so well. In some ways, it is almost prescient. We love Netflix because Netflix is always two steps ahead in terms of what we want to see. They predict what will be hot and make it hot. The publishing biz is the exact opposite. I notice that more and more lately. The current ‘hot trends’ in books are already fads when it comes to the general public. And publishing houses just don’t seem to get it. Let’s take this new villain angle that is making waves right now in the movie/streaming world. Just think of Suicide Squad for example. Then we just had Venom, which some people liked, some hated. But no matter what you think about it, it was a massive box office success (and that success will continue on streaming). Next year we have Joker, a movie told from the perspective of the infamous Batman villain and in 2020 we have Birds of Prey coming up, who has the iconic Harley Quinn in the lead. And those are just some of them. That is what is hot right now. But books told from the perspective of villains are almost nonexistent. I noticed that even more when I asked about it on Instagram. Oh, you bet they will follow in a few years, when that trend will have already died down. The book industry’s refuse to adapt is it’s downfall. Of course you can’t create new readers (and, by definition, young readers) when you can’t keep up with the demand. The solution: throw away the old standards and adapt. It is worth noticing that when it comes to keeping up with what is popular, the self-publishing world is in way better shape. Which means there are authors willing to write what is in demand but publishers refuse to sign them. It is a sad reality, made even sadder by the fact that self-published authors have an uphill battle to fight thanks to the preconception that anyone who chooses to put a book out on their own is not a worthy enough writer. But at least things are moving along. And the continuous sales growth happening in the self-pub market, as opposed to the traditional one, speaks volumes. In the end, it is adapt or die. As they say: if you don’t risk, you don’t win. What do you guys think? Let me know down below. An interesting rant 🤔 but I think unlike the movie industry books cannot be tailor-made to suit readers interest or follow a fad. Yes self published authors should get their due, there are many good ones but the whole environment should be conducive for the same. Such as editors, marketing, publishing process should all be encouraging in their prices. I seriously doubt many a self published writers have the dough to dish out as other publishing companies have. Maybe us bookstagramers too should be part of the progress. But change in the book industry is not something that can be forseen soon enough. I think it can happen but publishers need to implement a new system. Use the streaming system. Publish a book in chapters or only in ebook form and if it is successful then publish it on paper. Anything to shorten the ridiculous publication terms. I think the situation is a lot more nuanced than is possible to present in short article form – but a big part of the problem is the extremely long lead-time required for the publishing industry. Writing a book takes a LONG TIME. And once the book has been written, finding an agent takes a LONG TIME. And once you have an agent, getting a contract with a publisher takes – you guessed it – a LONG TIME. Once your MS is turned in, it then takes 12-18 months before the book hits the shelves. There are YEARS behind every book that gets published. So I don’t think that the lag time is related to an obtuse or backwards publishing industry – it’s that even though they acquire the stories when the trend is hot, the long lead time means that the story won’t come out until a long time later. I don’t know how they can change this, other than by somehow streamlining the time between contract and publication date, and by changing from trend-followers to trend-setters. Predict the next thing instrad of looking for the current thing. I partially agree. But keep in mind that for example making a movie like the ones I put as examples takes around 3 years for example. What you said about agents and contracts is true but again, agents buy what they know publishers buy. In the end it comes down to the publishers. Also, regarding release schedules, movies are moved all the time. Fast track smth that is hot. Dont wait years to put it out there. That is a sad reality because books are ALWAYS better than the movie and there is so much more information and imagination involved. 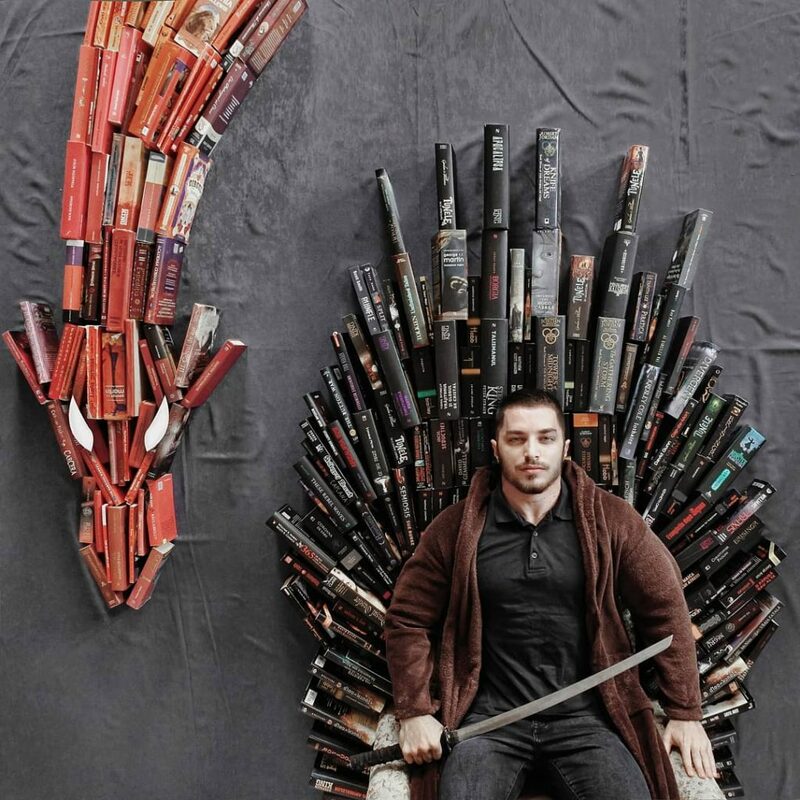 People only sometimes read the book because of the movie or sometimes don’t because they say that they’ve seen the movie when actually it is completely different and then some bastards don’t even like reading when it is so beautiful and captivating. I think if more people gave up time on their devices and stepped out of reality for a bit there would be so many more people who have finally realised that they love reading and we wouldn’t even need to be discussing ways to save the book community. If it does die out I hope I’m not around to see it because that would be the saddest thing in the world and so many people wouldn’t even have a chance to discover their love for reading. I’m curious to know where you got your information that book sales are decreasing. I was just at a publishing seminar at my college and everyone presenting there was a current working professional within publishing, and they all made it clear to us that books were doing just fine! That reminds me of that meme with the dog in the middle of a burning room saying: everything is fine. I had this post more targeted towards the traditional physical publishing, thus the self pub comparison where most books sold are ebooks. It is a bit funny how many articles are on ebook sales declining compared to physical in the last year when all of those articles fail to mention that Amazon doesnt report the sales outside of the traditional publishers. So basically the whole self pub ebook market, which is huge (and, as I said, that is the market that drives inovation), is not reported. There is a reason why Nielsen and NYT dont include any self pub authors in their tops, despite a lot of those authors selling more than the NYT bestselling authors every week (according go Amazon). It is also worth noting that Amazon is not the only retailer that doesnt report the sales for self pub authors. Kobo and the authors dont either. As I said, I should have made it more clear in my article that I was mainly talking about traditional publishing. While I hear what you’re saying, and agree to a point, this could lead down a slippery slope. If they only publish and promote books “on trend,” how many amazing books that don’t fit the mold will be passed by? I’d rather a book stand on its own, rather than be popular because it’s the latest trend, only to fall by the wayside when the next fad comes along. I see what you are saying, but it is not like the publishers being trend oriented would totally exclude other books. Like they aren’t doing now. The only change would be that the trends that are followed would be more up to date. There are a couple of aspects of your post and follow-up comments that I disagree with, so I’ll try not to ramble. In the first instance, sales of print books exceeded last year’s figures by about 5% over the summer. Whilst there’s been a marginal decline in the sale of e-books this year, the book industry is arguably as strong as it’s ever been. Likewise, I’m not sure your comment on traditional publishing lagging behind popular culture is entirely fair either. Taking your example of villain/anti-hero led narratives as a starting point, there’s Grendel, American Psycho, Crime and Punishment, Wicked, Circe, Confessions of an Ugly Stepsister. At the risk of rambling, my point is that those narratives already exist, and have done for some time. The book industry typically runs in tandem with, and often informs, other types of media – just look at how many movies and TV shows are adapted from print-based media. Lastly, you touched on the notion of content-on-demand in the same vein as streaming and the concept of releasing books as serialised content, but again, I think you’re overlooking services like Kindle Unlimited, Scribd, Overdrive, etc. along with the time-honoured tradition of authors releasing parts of their work digitally ahead of full publication. Heck, even serialised print novels have been a thing since before either of us were born. And while self-publishing is a somewhat-new and partially-untapped resource, it’s really not the hill that anyone should be aiming to die on given that only around 10% of self-published titles sell more than 100 copies. Even then, the average number of sales a self-published title can expect during its lifetime tops off at around 250 copies. I get where you’re coming from, but I think your article takes quite a narrow view of the situation, and it overlooks the persistent popularity of traditional printed books. Yes, adaptation is key – it always has been – but we live in an age where I can have an interactive novel with a soundtrack and reader-led narrative delivered wirelessly to my phone. In fact, 90% of my reading over the last year has taken advantage of being able to read the same book on my kindle, mobile and desktop without even losing my place. I think it’s pretty fair to say that the book publishing industry IS embracing change, and the main question is how far we deviate from accepted publishing norms before we have to reassess what constitutes a book. Those book examples don’t work because part of them are old and anyway there are too few. When I mean follow a trend I mean getting books in that genre en mass like they do right now with YA (which I freaking love, but it is an outdated genre in any other medium but traditional publishing). Publishers already follow trends. It’s just that they aren’t the right trends. I roll my eyes every single time someone says kids today don’t like to read. If you want future generations to sustain the publishing industry you have to put out content for those kind of generations. Adapt. Also, make it easier. Serialize it. Publish a book on chapters. Kindle and Amazon have the right idea but lets not forget big publishers don’t have books in the Kindle Unlimited program so basically almost everything you have there is from the self pub market. And of course most self pub authors don’t sell that much but it doesn’t really matter exactly because that market is growing so fast it offsets small sales by pure numbers. The minimal surge in physical sales is not a reason to celebrate, especially when it comes after years of free falling. Also, as I explained in a previous comment, the ebooks did not fall. Just ebooks sold by traditional publishers did. And that is because they increased the prices to absurd levels. And Amazon self pub ebooks (keep in mind that almost 90% of the ebooks sold in the US for example are sold through Amazon) are not counted because Amazon does not report them. Those optimistic articles you read online don’t tell the whole story. It seems like you’re being fairly selective here. It’s a little disingenuous to state, “…books told from the perspective of villains are almost nonexistent,” and then disregard the examples given because you consider them too old. For clarity though, Circe was published just this year. There’s also Alias Hook (2013), Never Never (2015), Blackhearts (2016), Vicious (2018) or Miranda and Caliban (2018) if you’d like more recent recommendations. As for YA novels, that “outdated genre” has a net worth of around two-and-a-half billion alone. Just for context. I’ll concede that Kindle Unlimited is stuffed full of self-published novels – but weren’t you advocating that as an example of publishing keeping up with trends? Irrespective, alternative services like Scribd DO stock novels by mainstream publishers, so my point in that regard is still fairly solid. Additionally, I’m not sure your assertion that self-publishing offsets its small sales by pure numbers is accurate. Even if you assume that the approx. 700,000 self-published e-books sold in the US all sell 250 copies each (spoiler: they don’t) that’s 175 million copies moved, and bear in mind, that’s a generous figure that doesn’t account for the fact that 90% of self-published titles don’t break the hundred mark. Print publishing in the US alone sold around 700 million copies last year, never mind taking into account e-book sales for mainstream publishers. Again, self-publishing is a noble idea, but in terms of volume-versus-success, it’s nowhere near balanced. To cover your last point, that “minimal surge” in physical sales translates to an increased revenue stream that almost numbers in the billions. Whether or not you choose to celebrate the boom in print sales over the last couple of years is your own business, but it’s fairly evident that book publishing isn’t in decline – more so, in fact, if there’s any accuracy to your assertion that e-books haven’t fallen to the extent that they’ve been reported to. To reiterate, I appreciate the spirit of your article, and I don’t disagree that content adaptation should always be at the forefront of publishers’ minds – but, particularly as someone with an academic background in publishing, I’m not convinced there’s any basis to the assertion that the book industry is somehow withering. First of all, congrats to your first article here and what a topic to start with writing. Well, I see the problem from both sides. I work for an international book agency which provides books to universities and libraries world wide. There is a certain trend in doing everything digital for sure. It is handier that way. I myself got my Kindle last year because I just have a problem with space, like all the bookworms have, but I still prefer the print book more. The other reason is, that a couple of books sound interesting, but after one reading I don’t need it them around myself, because most stories are kind of repeat themselves. However, the other problem is that people just don’t like to read anymore, at least, not really. On my way to work, people are only starring into their phones – social media or playing games – but a longer story? Nope. Or as a 16 year old trainee told me: “I don’t want to read, because I would be called a nerd.” Oh, that old chestnut. But, the movie industry has its own problems because all they can do lately are reboots. And it definitely is not easy to entertain our society these days, because we demand more of everything. More action, more CGI, more whatnot. I can only hope that it will change. I see what you mean but right there lies the problem. These are younger generations. They do everything on their phones. So create content suitable for that. Stream books basically. And make so that said content fits what is popular in pop culture. With the book industry it is like always, they see a book or serie that is popular and release another dozen, but they still release other types. Around the time of the first release of twilight serie, there were vampire books everywhere, due to the Hunger Games serie you found alot of dystopia novels. And I don’t know where you looked but there are books with anti hero and villain protagonist released. “Of course you can’t create new readers (and, by definition, young readers) when you can’t keep up with the demand. The solution: throw away the old standards and adapt.” You cannot force a person to read, if they don’t want to, may it be a kid or an adult. I didn’t mean to force someone to read. Just create attractive content that is immediately available when something big happens in pop culture. Also, please show me a few books with a villain as a mc. I asked about this on Insta and most people said Vicious by VE Schwab. Other than that there weren’t many options. I do think it has to do with the competition between tv shows/streaming/youtube, but also the lack of effort of readers. At my junior college we had a free book drive, where anyone can come pick up a free book. No catch. We had more than twenty people pass by saying ‘Sorry I don’t read’. I stopped a few of them and asked about it, they’re saying that blew my mind. They literally only read for their classes, they just don’t like reading. It might be a situation where if they weren’t exposed to it at a young age they won’t try it. Or they had been forced to read books in college/high school that they didn’t like. We also live in a time where people want to feel the instant satisfaction of seeing a story unfold on a tv screen with clifehangers in 40 min or an hour. While I think the publishing industry has done a fabulous jobs bringing so many books out by diverse readers out for readers to enjoy,sometimes a book that has not managed to make a profound impact on the internet but yet carries with it a compelling story and message are neglected. Though I understand every book published does not receive the same recognition maybe it would help to give the books that go unnoticed some attention. My name is Aly and I would like to know if you would have any interest to have your website here at atitanswork.com promoted as a resource on our blog alychidesign.com ?